We’ve gotten away with neglecting pronouns in our budding conlangs of Isian and Ardari so far, but now the time has come to fill the gap. Now, we’ll give both of them a nice set of pronouns to use, checking off all the boxes from the last theory post. Isian will have a fair amount of complexity in its pronominal system, and it will contain more than one irregularity. In that sense, we’re making it much like the languages common in the West. We can use the subject and object pronouns in sentences anywhere a noun would go: sha fusas men “she kissed me”; em hame tas “I love you”. The possessive pronouns, however, function more like articles, and they always go at the beginning of a noun phrase: mi doyan “my brother”; ey wa talar “their big house”. We also have a “generic” third-person pronoun, which doesn’t change for case. In the singular, it’s ed, while the plural form is des. This can be used like the English generic “you” or “one”: ed las an yoweni “you can’t enter”. In informal speech, we can also use these as genderless personal pronouns, more like English singular “they”: ed an daliga e talar “they don’t live in the house”. Finally, we have the reflexive or intensive pronoun lan. This covers the functions of all of English’s “-self” pronouns all by, well, itself: e sam sipes lan “the man cut himself”; e esher hishis lan “the girls washed themselves”; em ocata lan “I asked myself”. Beyond the personal pronouns, we have a couple more classes. We’ll start with Isian’s demonstratives, which come in distinct singular and plural forms. For near things, we have the singular ne and plural nes. Far things are denoted by to and tos. These four words are close in meaning and scope to English “this”, “these”, “that”, and “those”, respectively, and they can be used in much the same way, either as independent pronouns or like adjectives: nes “these”, nes jedi “these boys”. Next are the interrogatives, or question words. Isian has two of these. For people, we use con, while things take cal. All the other possible questions (where, when, etc.) can be made from compounds or phrases based on one of these, which we’ll see in a later post, when we look at forming questions. je- “some”: jecon “someone”, jecal “something”. es- “any”: escon “anyone”, escal “anything”. licha- “every”: lichacon “everybody”, lichacal “everything”. ano- “none”: anocon “nobody” or “no one”; anocal “nothing”. Finally, “standard” Isian (assuming a culture that has such a thing) doesn’t normally allow pronoun omission, or pro-drop. We’ve been using it so far, but that’s because we didn’t have any pronouns up to this point. Our hypothetical speakers of Isian would find it a little informal, though. That looks like a lot, but it’s really not too much. It’s the different distinctions that Ardari makes that can be hard to understand. The cases are largely the same as they were in the simpler conlang. It’s the left-hand column where the complexity lies. For the first person, the singular should be obvious. But we have two plurals, labeled “exclusive” and “inclusive”. Which one to use is determined by whether you want to include the listener in the action. If you do, you use the inclusive; otherwise, you need the exclusive. The second person again has a distinction unfamiliar to speakers of English, but this one shows up in plenty of other languages. The informal is used, surprisingly enough, in informal situations, such as among friends, and it works for singular and plural. The formal is for people you don’t know as well, when you need to show deference, or similar situations. It does change for the plural, but only if it’s the subject. The third person shouldn’t be that hard to figure out. Remember that Ardari has masculine, feminine, and neuter. Here, we can use the neuter for the case of the unknown or of mixed gender; it doesn’t carry the same connotations of inhumanity as English “it”. The impersonal form can be used for generic instances and cases where you’re not sure which person is right; it’s transparently derived from man “one”, with the definite article attached. Reflexive pronouns can be made by adding the regular suffix -das to any object pronoun: mynedas “myself”; anöndas “himself”. Attach it to a subject pronoun, and you get an intensive meaning: mydas “I myself”. And then we have a special, irregular pronoun lataj. This one roughly means “each other”, and it’s used anywhere you’d need a “reciprocal” meaning: ysar lataj salmedi “they love each other”. Finally, to add flavor and that hint of verisimilitude, Ardari has vocative forms of a few pronouns. These are: second-person formal troda and plural trodavar; third-person masculine anaj and aja; third-person feminine tija (singular and plural); and third-person neuter singular ys. Of course, few of these are really needed in Ardari, because the language employs pro-drop liberally, thanks to the concord marking on verbs. If you can get away without a subject or even object pronoun, our hypothetical Ardari speakers would, except in the most formal situations. “Near” is those things near or known only by the speaker, or something specifically referred to recently in conversation, so that both speaker and hearer know it. “Middle” is used for things closer to the listener, or something that is well-known to both parties but absent. The “Far” demonstratives are used for those things that are far away from both speaker and listener, are not known to the listener at all, or are speculative in some way. ablonyje zallman “listen to this”; uses the “near” form because the speaker knows it, but the listener doesn’t. sinyr prallman virdondall “we’ll sell that one”; takes the middle form, indicating something nearby and known to both parties. mynin tyeri ejnman majtasa “my daughter wants some of those”; the far form connotes something that neither the speaker nor the listener has. After all that, the interrogatives are easy. In fact, they’re all derived from a single word, qom “what”. From this, we get qomban “who”, qomren “where”, qomlajch “when”, and qoman “which (one)”. These inflect like any other neuter noun, but they can’t take an article suffix. Indefinite pronouns can be formed from these just like in Isian. (Call it linguistic borrowing or author laziness, the effect is the same.) We have four possibilities here: ta “some”, za- “every”, du- “no”, and manö- “any”. Making whatever you need is as simple as slapping these in front of an interrogative: taqomban “someone”, zaqom “everything”, and so on. After this post, the series is going on temporary hiatus. You’ll see why tomorrow, but I’ll be back with more conlanging action on December 4. In the meantime, have fun playing with Isian, Ardari, or your own language. When I come back, we’ll work on prepositional phrases, relative clauses, and whatever else I can think of. Then, for the start of the new year, you’ll get to see the first significant writing in both languages. In this post, I won’t be discussing assembly language in any depth. Rather, I want to focus on one of the main reasons to use assembly: optimization. Actually, it might be the main reason today, because there’s not much need for assembly coding these days; it’s only when we want something to be as fast as possible that it comes into play. Also, I’m moving away from the 6502 for this one, instead using the x86 architecture for my examples. Why? Because x86 is still the leading processor family for desktops, and so much has been written about it over the decades. There’s a lot of optimization info out there, far more than for just about any other architecture. Yes, ARM is growing, especially in the lower-end part of the market where assembly can still be very useful, but ARM—due to its very nature—is so fragmented that it’s hard to give concrete examples. Also, because x86 is so long-lived, we can trace the development of various processor features through its evolution. For that, though, we’ll need a bit of a history lesson. Fetching the instruction was a simple load from memory, something every processor does as a matter of course. Decoding required a major portion of the circuit (the 6502 used a programmable array a bit like a modern FPGA, except that its function was fixed in the factory) but a comparatively small portion of processor time. Executing could require more memory accesses for the instruction’s operands, and it could take a lot of time, especially for something complex like multiplication—an ability the 6502, among others, lacks. But memory has always been slower than the processor itself. On all but the most complicated instructions, memory access takes the most time of any phase of execution. Thus, the prefetch queue was born. In a sense, this was the forerunner of today’s cache. Basically, it tried to predict the future by fetching the next few bytes from memory. That way, the large time constants required for RAM access could be amortized. The problem with the prefetch queue, as with all cache, comes with branching. Branches, as we saw in earlier posts, are the key to making decisions in assembly language. But they force the processor to jump around, instead of following a linear path through memory. A branch, then, negates the advantage of the prefetch queue. Processor designers (and assembly programmers) tried a few methods of working around the cost of branching. That’s why, at a certain time long ago, loop unrolling was considered a very important optimization technique. If you need to run a particular group of instructions, say, ten times, then it was a bit faster to “copy and paste” the assembly instructions than it was to set up a branching loop. It used more space, but the speed gains made up for that. Another optimization trick was rearranging the branch instructions so that they would fail more often than not. For example, the x86 has a pair of instructions, JZ and JNZ, that branch if the zero flag is set or clear, respectively. (This is equivalent to the 6502’s BEQ and BNE, except that the x86 has more registers and instructions that can change it.) If you have a section of code that is run only when an argument is 0, and 0 rarely shows up, the naive way of writing it would be to skip over that section with a JNZ. But it might be faster (on these earlier processors, at least) to put the “only if 0” code at the end of the subroutine (or some other place that’s out of the way) and use JZ to branch to it when you need it. Eventually, the interests of speed caused a fundamental shift in the way processors were made. This was the birth of the pipeline, which opened a whole new world of possibilities, but also brought new optimization problems. The prefetch queue described above was one of the first visible effects of pipelining, but not the last. The idea of a pipeline is that the processor’s main purpose, executing code, is broken into smaller tasks, each given over to a dedicated circuit. These can then work on their own, like stations on an assembly line. The instruction fetcher gets the next instruction, passes it on to the decoder, and so on. A well-oiled machine, in theory. In practice, it’s hard to get all the parts to work as one, and sometimes the pipeline would be stalled, waiting on one part to finish its work. The beauty of the pipeline is that each stage is distinctly ordered. Once an instruction has been retrieved, the fetcher isn’t needed, so it can do something else. Specifically, it can fetch the next instruction. If the timing works out, it can fill up the prefetch queue and keep it topped off when it has the free time. But branches are the wrenches in the works. Since they break the linear flow of instructions, they force the pipeline to stall. This is where the processor designers had to get smart. They had to find a way of predicting the future, and thus branch prediction was popularized. When it works, branch prediction can completely negate the cost of a conditional jump. (Of course, when it fails, it stalls the whole thing, but that’s no worse than not predicting at all.) From an assembly language point of view, it means that we could mostly ditch the clever tricks like loop unrolling and condition negation. They would still have their uses, but they wouldn’t need to be quite so common. That’s a good thing, because the extra code size brought by loop unrolling affected another part of these newfangled processors: the cache. Cache really came about as another way to make memory access faster. The method was a little roundabout, but it worked, and cache has stuck with us through today. It’s only getting bigger, too; most of the physical space on today’s processors is, in fact, cache memory. Many chips actually have more memory on the die than the 4 MB my first PC had in total. The trick to cache comes from looking at how code accesses memory. As it turns out, there’s a pattern, and it’s called the principle of locality. Put simply, reading one memory location is a pretty good indicator that you’re going to be reading the ones right next to it. If we could just load all of those at once, then we’d save a ton of time. So that’s what they did. Instead of loading memory a byte or a word at a time, they started pulling them in 16 or more at once. And it was faster, but only while you stayed in the region of memory loaded into the cache. Soon, cache became not fast enough, not big enough, and they had to find ways to fix both of these problems. And that’s where we are today. Modern x86 chips have three levels of cache. The first, L1, is the smallest, but also the fastest. L2 cache is a bit slower, but there’s more of it. And L3 is the slowest (though still faster than RAM), but big enough to hold the entirety of, say, Windows 95. So now the optimization strategy once again focuses on space. Speed is mostly a non-factor, as the desktop x86 processors can execute most of their instructions in a single clock cycle, branch prediction saves us from the cost of jumps, and huge amounts of cache mean fewer of the horrifically slow memory accesses. But cache is limited, especially the ultra-fast L1. Every instruction counts, and we want them to all be as close together as possible. (Data is the same way, but we’ll ignore it for now.) Unrolling loops, for example, is a waste of valuable cache. A few other optimizations have been lost along the way, made obsolete by the march of progress. One of my favorite examples is that of clearing a register. It’s a common need in assembly language, and the favored method of doing it early in the x86 days was by using the XOR instruction, e.g., XOR AX, AX. Exclusive-OR, when given the same value twice, always produces 0, and this method was quicker (and shorter) than loading an immediate 0 value (MOV AX, 0). The self-XOR trick was undone by a combination of factors. The first was register renaming, which essentially gave the processor a bunch of “virtual” registers that it could use as internal scratch space, moving data to and from the “real” ones as needed. The second was out-of-order execution, and that takes a little more explaining. This has been a bit of a rambling post, I’ll admit. But the key point is this: optimization is a moving target. What might have worked long ago might not today. (There’s a reason Gentoo is so fast, and it’s because of this very thing.) As processors advance, assembly programmers need new tricks. And we’re not the only ones. Compilers produce virtually all assembly that runs these days, but somebody has to give them the knowledge of new optimization techniques. With this break in the schedule, though, I’ll have time to come up with more ideas for posts in all three of the main categories (writing, code, and languages). Then, when December rolls around and I get back to regular posting, I’ll be able to build up a bigger and better queue, which will give me a little bit more free time. For the coding aspect, I’ve got some ideas about C++, ES6, game programming, procedural generation, and a few others. As for Let’s Make a Language, well, the second half of Part 8 will go up on Friday, and I have plans out to Part 13. Since each part takes 2-3 posts, that’s at least a good two months’ worth of content. I’ve also got a couple of themes for more general conlang posts that don’t fit the series, and I can slot them in whenever I need a break from creation. So that’s what you have to look forward to, starting in December. Again, in a few days I’ll give an update on what will happen over the course of next month, including my plans to write a novel in 30 days. Pronouns are, at the most basic level, words that stand in for other words. Think of “he” or “them” in English. Those words don’t really mean anything by themselves. They usually have to be said with reference to some other thing, like “a man” or “a bunch of kids”. A few of them, like “someone”, don’t, that’s true, but most pronouns do tend to refer to another noun. Also, the definition of “pronoun” covers more ground than you might think. And the way this ground is divided up varies from one language to another. Sure, it’s obvious that the examples above are pronouns, but so are words like “these” and “who”. However, some languages don’t have an equivalent to “these”, because they don’t need a plural form of “this”. The word for “who” might be different, too, based on various factors. So let’s take a look at all the kinds of pronouns we can find in a language, all those that might fit in a conlang. The most well-known class of pronouns has to be the personal ones, exemplified by words like English “he”, “she”, and “us”. Despite the name, these don’t necessarily refer to people (“it” normally doesn’t, for example), but they match up fairly well with the person distinction on verbs, where the first person is the speaker, the second is the listener, and the third is everybody else. That’s the ideal situation, anyway. In practice, even the three-way person distinction can be a bit nebulous. Some languages have two sets of third-person pronouns, one each for those things close by (proximate) and far away (obviative); the latter is sometimes called “fourth person”. We’re off to a good start, aren’t we? For many languages, pronouns are distinguished in most or all of the ways that nouns are, whether by number, gender, case, or whatever else. In quite a few, they actually have finer distinctions than ordinary nouns. English is one of these, as its pronouns can be marked for case (“we” versus “us”) and gender and even animacy (masculine “he”, feminine “she”, inanimate neuter “it”, and—informally—animate neuter “they”). Personal pronouns also often show contrasts in ways that are relatively rare for common nouns. Honorific or formal pronouns are common, mostly in the second person. Spanish Usted is an example, as are the many possibilities in Japanese. Animacy is another case of this, as you can see in the English example above. And the first person can come in inclusive and exclusive forms, depending on whether “we” is supposed to include the listener. Beyond the basic three (or four) persons, we have a few other odds and ends. Impersonal pronouns exist in many languages; the English form is “one”, which isn’t much used in modern speech. Generic pronouns, like the “you” that has largely supplanted impersonal “one”, are a close relative. You can have reflexive pronouns, like the “-self” group, which refer to…well, themselves. Emphatic pronouns, in English, take the same forms as reflexives, but they’re meant to emphasize a specific noun, rather than simply refer to it: “I will go myself.” Possessive pronouns are another important class. Languages with case might treat them as genitive forms of personal pronouns, but they could also be independent. And finally, a reciprocal pronoun (English “each other”) pops up in many places, specifically to deal with a single situation. The demonstratives are another group of pronouns. This is the group that includes English “this” and “that”, used to refer to a specific, known instance of something. English has a pair of these, a bit like the proximate/obviative split mentioned earlier. “This” is for nearby things, while “that” is used to refer to something at a distance. We can add a third degree into this—as in Spanish, for example—either between “this” and “that” or beyond both of them, like “yonder”, which is non-standard in most dialects, but not mine. Four or even five contrasting degrees of distance aren’t unheard of, either, and a few languages have none at all. Interrogative pronouns, like English “who” and “what”, are used to form questions. (We’ll see exactly how that’s done in a later post.) We use these when referring to a noun we don’t know, as when we ask, “What is it?” This class isn’t limited to people and things, either. Many languages have specific pronouns to ask about time (“when”), place (“where”), and reasons (“why”), among others. It’s also common to derive a few other pronouns from the interrogatives. Relative pronouns, for those languages that have them, often come from the question words: “the man who hired me”. Relative clauses are worth a whole post by themselves, though, so we’ll hold off further discussion about them. The indefinite pronouns, on the other hand, we’ll talk about right now. They’re a big group of words that tend to be derived in some fashion. Some languages, like English, make them out of interrogatives, as in “somewhere” or “anyhow”. Others, like English (funny how that works out), create them from generic nouns like “thing” or “one”: “someone”, “nothing”, “everyday”, “anybody”. And then a few of them have special cases, as in Spanish algo “something”, which is a morpheme to itself. In form, pronouns can take just about any shape. They can be separate words that function as nouns in their own right, as they are in many languages. They can appear as verbal suffixes, as is the case in polysynthetic tongues. Or they could be a mix of these. One interesting notion we can discuss here is the idea of pro-drop, omitting pronouns that would be redundant due to verbal conjugations or other factors. We don’t have it in English—pronouns are always required—but it’s one of the first grammatical aspects students learn about Spanish, and many other languages allow it. Japanese might be considered an extreme example of pro-drop, as context allows—and decorum sometimes requires—a speaker to omit subject pronouns, object pronouns, and any other extraneous bits. As far as the specific sounds used to create a pronoun, there are a couple of trends. Quite a few languages, for example, have a first-person pronoun with a front nasal sound like /m/, and many of those then go on to have a second-person pronoun with a central consonant like /t/ or /s/. Most European languages show this pattern (Spanish me/te; English me/thee; German mich/dich), enough to make you think it’s an Indo-European thing. But then you have Finnish, a Uralic language, with minä/sinä. And then WALS gives the example of Nanai, a language of eastern Siberia: mi/si. Clearly, there’s some process at work here. That is also made clear by a contrary trend, where the first person shows /n/, the second /m/. This one is more widespread in America, with occasional occurrences elsewhere in the world, in unrelated languages. When making a conlang, pronouns can be a hassle to get right. Their very definition lends itself very well to a mechanical approach, especially in agglutinating languages, where you can just attach the right markers to some generic base. It’s harder to make a full set like English, where just about every personal pronoun on the chart has a different history. The personal pronouns are probably the easiest, though it’s not exactly hard to go overboard. Indefinites, relatives, and all the rest aren’t as necessary at the start, if only because the things you’d most likely say in the early stages won’t need them. But they shouldn’t be too far behind, because they’re no less useful. Remember that pronouns often follow a paradigm, but there are plenty of irregularities. In natural languages, that’s from borrowing, sound change, and all the other natural factors of linguistic evolution. But there are languages out there with very regular pronoun systems, too. The next post in this series will have all the pronouns you could ever want for Isian and Ardari. Since this post covered most of the theory, there won’t be that much left to do, so we’ll get words, words, and more words. After that, we’ll move to the things that we call prepositional phrases, which aren’t always what they seem. Well, I’m back. Instead of giving you more apologies for missing a couple of weeks of this exciting series (sarcasm alert! ), let’s jump right back in and look at some more old-school assembly language. This week, we’ll get to know homebrewed 6502 versions of a couple of C standard library staples, and we can start talking about how you use data structures in assembly. Yep, this is a stripped-down version of memcpy. It has its limitations—it can only copy a page of memory at a time, and it has no error checking—but it’s short and to the point. Note that, instead of a prose description of the subroutine’s arguments and return values and whatnot, I’m just putting that in the comments before the code. I trust that you can understand how to work with that. Since the code is pretty self-explanatory, the comments for each line show the size and time taken by each instruction. A little bit of addition should show you that the whole subroutine is only 8 bytes; even on modern processors, the core of memcpy isn’t exactly huge. The timing calculation is a little more complex, but it’s no less important on a slow, underpowered CPU like the 6502. In the case of our subroutine, it depends on how many bytes we’re copying. The core of the loop will take 13 cycles for each iteration. The branch instruction is 3 cycles when the branch is taken, 2 cycles when it’s missed. Altogether, copying n bytes takes 16n+5 cycles, a range of 21 to 4101. (A zero byte count is treated as 256.) In a modern computer, four thousand cycles would be a few microseconds at most. For the 6502, however, it’s more like a few milliseconds, but it’s hard to get faster than what we’ve got here. All it does is count up through memory, starting at the pointed-to address, until it reaches a zero byte. When it’s done, it gives back the result in the accumulator. Now, this comes with an obvious restriction: our strings can’t be more than 255 bytes, or we get wraparound. For this example, that’s fine, but you need to watch out in real code. Of course, in modern processors, you’ll usually have at least a 32-bit register to work with, and there aren’t too many uses for a single string of a few billion bytes. Our assembly version of strlen weighs in at 12 bytes. Timing-wise, it’s 12n+20 cycles for a string of length n, which isn’t too bad. The only real trickery is abusing the overflow flag to allow us an unconditional branch, since none of the instructions this subroutine uses will affect it. Using a simple JMP instruction is equivalent in both time and space, but it means we can’t relocate the code once it has been assembled. Arrays, in theory, would work almost like strings. Instead of looking for null bytes, you’d have an explicit count, more like newer C functions such as strncmp. On the 6502, the indirect indexed addressing mode (e.g., LDA ($F0), Y) we’ve used in every example so far is your main tool for this. Other architectures have their own variations, like the x86’s displacement mode. More complex structures (like C structs or C++ classes), are tougher. This is where the assembly programmer needs a good understanding of how high-level compilers implement such things. Issues like layout, padding, and alignment come into play on modern computers, while the 6502 suffers from the slower speed of indirection. Self-contained structures (those that won’t be interfacing with higher-level components) are really up to you. The most common layout is linear, with each member of the structure placed consecutively in memory. This way, you’re only working with basic offsets. But there’s a problem with that, as newer systems don’t really like to access any old byte. Rather, they’ll pull in some number of bytes (always a power of 2: 2, 4, 8, 16, etc.) all at once. Unaligned memory accesses, such as loading a 32-bit value stored at memory location 0x01230001 (using x86-style hex notation) will be slower, because the processor will want to load two 32-bit values—0x01230000 and 0x01230004—and then it has to do a little bit of internal shuffling. Some processors won’t even go that far; they’ll give an error at the first sign of an unaligned access. For both of these reasons, modern languages generate structures with padding. A C struct containing a byte and a 32-bit word (in that order), won’t take up the 5 bytes you’d expect. No, it’ll be at least 8, and a 64-bit system might even make it 16 bytes. It’s a conscious trade-off of size for speed, and it’s a fair trade in these present days of multi-gigabyte memory. It’s not even that bad on embedded systems, as they grow into the space occupied by PCs a generation ago. For now, I think I’m going to put this series on hold, as I’m not sure where I want it to go. I might move on to a bigger architecture, something like the x86 in its 16-bit days. Until then, back to your regularly scheduled programming posts. Many movies, books, and other works of fiction involve a protagonist who is destined (or fated or whatever other term you choose) to save the world. Only he (or she, but this is rarer) can do this. No one else has the power, or the will, or the knowledge necessary to accomplish this feat. But this character does, for some reason. He is The One. Stories of The One aren’t hard to find. For example, Neo, in The Matrix, is explicitly referred to by that moniker. But the idea of a single savior of the world, someone who can do what no other person can, goes back centuries, if not more. After all, it’s the founding idea of Christianity. Perhaps that’s why it’s so embedded in the Western mind. Writing a story about The One is fairly straightforward, but there are pitfalls. The most obvious is similarity: how do you distinguish your hero from all those who have come before? That part’s up to you, and it’s so dependent on your specific story that I’m not sure I can say much that would be relevant. However, I can offer some food for thought on the general notion of The One. The One was born that way. This one works best when it’s fate driving the story. The One is somehow marked from birth as such. Maybe he was born in a time of omen, like an eclipse. Or he could be the child of a supernatural being. In any event, this kind of story can deal with the conflict inherent in growing up as The One. Another option is that The One’s status is fixed at birth, but his power comes later. The One received the destined status at a certain time. This could be at a coming of age (18 years old or the cultural equivalent), or at the time of a particular event. Basically, this idea is just a delayed form of the one above, and most of the same caveats apply. The benefit is that you don’t have to write a story about a character growing both physically and metaphysically at the same time. Increasing over time. This one is popular in fantasy literature and video games, mostly because it fits the progression model of RPGs. If you’ve ever played a game where you slowly “level up” as the story unfolds, then you know what’s going on here. Either The One grows in overall strength, or his powers gradually unlock. Both ways can work, but a non-game needs to be written so that it doesn’t seem too “gamey”. Unlocking your full potential. Instead of a slow rise in power, it’s also possible that The One’s path follows a pattern more like a staircase. Here, pivotal events serve to mark the different “stages” to The One. In actuality, this is another way of leveling up, but it’s guided by the story. The final confrontation (or whatever would end the world, if not for The One) is then the final level, and drama dictates that this is when the protagonist would reach the apex of his ability—probably shortly after a failure or setback. The One isn’t always alone. Any proper world-saving hero is going to have a set of helpful allies and companions. By necessity, they won’t be as powerful, but they can each help in their own way. Almost any type of character works here, as long as they can fade a little bit into the background when it’s time for The One to take center stage. Here are some of the more common ones. The love interest. It’s a given nowadays that a hero needs romance. In video games, the current fad is to let the player choose which character gets this role. For less interactive works, it’s obviously a fixed thing. Whoever it is, the point is to give the hero someone to love, someone who is utterly dependent on his success, in a more personal way than the rest of the world. The strongman. Unless The One is physically strong, he’ll likely need additional muscle, possibly even in the form of a bodyguard. This works in traditional fantasy, where it’s standard for the mages to be weaklings with massive hidden power. For most other styles, it’s harder to justify, but a tough guy is welcome in any party. The academic. Some stories rely on the fact that The One doesn’t know everything about his potential, his destiny, his enemies, or even himself. The academic, then, serves the role of exposition, allowing the audience to learn about these things at the same time as the hero. This kind of character shines in the early acts of a story; by the end, dramatic pacing takes precedence, and the academic is no longer needed. The otherworldly. In stories with a significant supernatural element, The One might have an inhuman friend or ally. This could be anything from a guardian angel, to an elemental creature, to a bound demon, to even an alien. This otherworldly character can break the rules the story sets for “normal” humans, as well as giving the protagonist an outside perspective. It can also function as a kind of academic, as beings from other worlds or planes often have hidden knowledge. The turncoat. There are two ways you can go with this character. Either he’s someone who turned on The One—in which case, the turncoat makes a good secondary villain—or he turned on The One’s enemy to join the “good guys”. This second possibility is the more interesting, story-wise, because it’s almost like adding a second origin story. Why did he turn? Is he going to try and double-cross The One? The turncoat can also be a way to provide inside information that the protagonist logically shouldn’t have access to. Writing The One is easy. Writing one of them to be more than simple wish-fulfillment is much harder. Put yourself in your characters’ shoes. Not just the protagonist, but the supporting crew, too. Think about the mechanism of fate, as it exists in the world you’re creating. And think about how you show the power that The One has. Sure, explosions are eye-catching, but they aren’t everything. The One can outwit his foes just as easily as he can overpower them, and sometimes that’s exactly what he must do. For Ardari, adjectives look like nouns at first glance. They take all the usual inflections for case and number, with the additional wrinkle that they agree with their head nouns in gender. Because of this, the “dictionary” form of an adjective will always be the neuter form: dyet “good”, òlk “loud”, jysall “sad”, chel “young”. We can add these adjectives into a noun phrase by placing them before the head noun: dyeta rhasa “good dog”; òlko blèdo “loud animals”; jysalla konatö “the sad man”; chelisèn nälisèntös “of the young women”. As you can see from the last two examples, adjectives modifying nouns don’t need articles. In contrast to English (and Isian, for that matter), Ardari adjectives work just fine alone, without the need for a head noun. In this case, they inflect as if they were neuter nouns: dyetardös “the good ones”. For dyet and words like it, we use a different, more general, approach. This involves the copula verb èll-, and it’s just like making a normal sentence. The adjective agrees with the subject noun in gender, but it’s always in the nominative case: rhasatö èlla dyeta “the dog is good”. In fact, any adjective can be used in this copula construction. It implies a more “permanent” state than directly using the adjective directly. So, instead of dèblatö òlkda, we might say dèblatö èlla òlka, which has the same meaning, but carries the connotation that this particular river is always loud. Ardari doesn’t have special adjective versions for comparatives and superlatives, like English does. Instead, it has a general word am that can appear before an adjective. It does double duty, acting like both “more” and “most”, with the actual meaning depending on context. In a simple noun phrase, it’s usually a superlative: am dyeto rhasodys “the best dogs”. The exception is when it’s being made into a comparative phrase, which we’ll meet in a future post. When used on a bare adjective, am always means “most”: am dyetardös “the best”. On a predicate, am implies the superlative unless it’s clear from context that it’s a comparison. As an example, we might have uswall tyèktö èlla grov “the blue house is big” followed by ajzhtö èlla am grov “the white house is bigger”. If we just said ajzhtö èlla am grov alone, the meaning would instead be “the white house is the biggest”. That just about does it for Ardari adjectives, except for one thing. Some of these words change slightly. In the neuter form, they have a regular, non-palatalized consonant. In the other genders, these can become palatalized. One example of this is mil “happy”. In the neuter, it stays how it’s written: mil sèd “a happy child”. Otherwise, it changes: milya pwa “a happy boy*; milyi gli “a happy girl”. This change can happen with many consonants in Ardari. The stops alternate with their palatalized versions (p becomes py, etc. ), while l and n become ly and ny, respectively. Like with Isian, here’s a huge list of Ardari words. Verbs are always listed as stems (you can tell by the hyphen at the end), and adjectives are shown in neuter form. There are three adjectives in the list that show the palatalizing change. These are shown with a following (y), as in mil(y) for “happy”. Two specific words need to be pointed out. First, “not” is listed as -(r)u, which shows the two possible forms of the negative verbal suffix, -u after consonants and -ru after vowels. Second, the word for “friend” changes based on gender: neuter ast, masculine asta, feminine asti. This is shown as ast(a/i). Coding is becoming a big thing right now, particularly as an educational tool. Some schools are promoting programming and computer science classes, even a full curriculum that lasts through the entirety of education. And then there are the commercial and political movements such as Code.org and the Hour of Code. It seems that everyone wants children to learn something about computers, beyond just how to use them. On the other side of the debate are the detractors of the “learn to code” push, who argue that it’s a boondoggle at best. Not everybody can learn how to code, they argue, nor should they. We’re past the point where anyone who wants to use a computer must learn to program it, too. Both camps have a point, and I can see some merit in either side of the debate. I was one of a lucky few that did have the chance to learn about programming early in school, so I can speak from experience in a way that most others cannot. So here are my thoughts on the matter. Programming, in my opinion, is an exercise that brings together a number of disparate elements. You need math, obviously, because computer science—the basis for programming—is all math. You also need logic and reason, talents that are in increasingly short supply among our youth. But computer programming is more than these. It’s math, it’s reasoning, it’s problem solving. But it’s also art. Some problems have more than one solution, and some of those are more elegant than others. My point is, kids need a firm grasp of at least some math before they can hope to understand the intricacies of code. Arithmetic and some concept of algebra are the bare minimum. General computer skills (typing, “computer literacy”, that sort of thing) are also a must. And I’d want some sort of introduction to critical thinking, too, but that should be a mandatory part of schooling, anyway. I don’t think that very young students (kindergarten through 2nd grade) should be fooling around with anything more than a simple interface to code like Scratch. (Unless they show promise or actively seek the challenge, that is. I’m firmly in favor of more educational freedom.) Actually writing code requires, well, writing. And any sort of abstraction—assembly on a fictitious processor or something like that—probably should wait until middle school. Nor do I think that coding should be a fixed part of the curriculum. Again, I must agree somewhat with the learn-to-code detractors. Not everyone is going to take to programming, and we shouldn’t force them to. It certainly doesn’t need to be a required course for advancement. The prerequisites of math, critical thinking, writing, etc., however, do need to be taught to—and understood by—every student. Learning to code isn’t the ultimate goal, in my mind. It’s a nice destination, but we need to focus on the journey. We should be striving to make kids smarter, more well-rounded, more rational. So, if I had my way, what would I do? That’s hard to say. These posts don’t exactly have a lot of thought put in them. But I’ll give it a shot. This will just be a few ideas, nothing like an integrated, coherent plan. Also, for those outside the US, this is geared towards the American educational system. I’ll leave it to you to convert it to something more familiar. Early years (K-2): The first years of school don’t need coding, per se. Here, we should be teaching the fundamentals of math, writing, science, computer use, typing, and so on. Add in a bit of an introduction to electronics (nothing too detailed, but enough to plant the seed of interest). Near the end, we can introduce the idea of programming, the notion that computers and other digital devices are not black boxes, but machines that we can control. Late elementary (3-5): Starting in 3rd grade (about age 8-9), we can begin actual coding, probably starting with Scratch or something similar. But don’t neglect the other subjects. Use simple games as the main programming projects—kids like games—but also teach how programs can solve problems. And don’t punish students that figure out how to get the computer to do their math homework. High school (9-12): High school should be the culmination of the coding curriculum. The graphical environments are gone, but the games remain. With the higher math taught in these grades, 3D can become an important part of the subject. Computer science also needs to be a major focus, with programming paradigms (object-oriented, functional, and so on) and patterns (Visitor, Factory, etc.) coming into their own. Also, we can begin to teach students more about hardware, robotics, program design, and other aspects beyond just code. Besides educators, the private sector needs to do its part if ubiquitous programming knowledge is going to be the future. There’s simply no point to teaching everyone how to code if they’ll never be able to use such a skill. Open source code, open hardware, free or low-cost tools, all these are vital to this effort. But the computing world is moving away from all of them. Apple’s iOS costs hundreds of dollars just to start developing. Android is cheaper, but the wide variety of devices means either expensive testing or compromises. Even desktop platforms are moving towards the walled garden. This platform lockdown is incompatible with the idea of coding as a school subject. After all, what’s the point? Why would I want to learn to code, if the only way I could use that knowledge is by getting a job for a corporation that can afford it? Every other part of education has some reflection in the real world. If we want programming to join that small, elite group, then we must make sure it has a place. So I’ve written my first book. Actually, I finished writing it months ago. Editing, cover design, and all that other stuff that the pros get done for them took up the rest of the time. However you want to put it, it’s done. Here’s the page I’ve set up for it on this site. In there, you can find some info about the book, as well as links to anywhere I’ve put it up for sale. As of right now, that’s only Amazon, but I hope to expand the list eventually. With this release, I’ve also taken the time to do some minor redecorating. Namely, the sidebar. I’ve added two sections over there. One of them has a list of my published works, something that will (hopefully!) grow to be much longer in the coming months and years. Below that is another list for ebooks that aren’t mine. I’m not the only writer in my family, and family sticks together, so I don’t mind giving a little bit of publicity. The first entry is my brother’s debut novella, Angel’s Sin. It’s firmly in the genre of fantasy erotica, and it’s a bit…odd, so be warned. Anyway, that’s another list that will grow in the future. 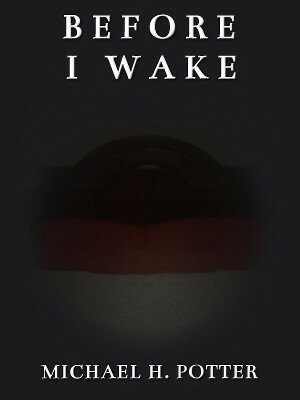 I won’t claim that Before I Wake is any great story. I like to think of it as the greatest novel I’ve ever written, but there’s only one other competitor for that title, and it’s…not that good. Maybe I’m too hard on myself. Who knows? However it turns out, I’ve discovered that I like to write. So I’m going to keep on doing that. Surely I can’t be the worst author ever.